A dynamic and multi-cultural city rich in contrast and colour with strategic location, excellent infrastructure and great attractions, Singapore is a leading destination, not only for business and leisure, but also for world class, affordable and safe healthcare. With the good reputation and track records of Singapore's well-trained doctors and world-class hospitals, the demand for ‘Best Treatment’ has been on the rise, both locally and internationally. Singapore attracts some 400,000 international patients annually to its shore. In year 2009 Singapore Health Statistics, the Specialist outpatient visits increased from 2.6 million visits in 1999 to 3.9 million visits in 2009. 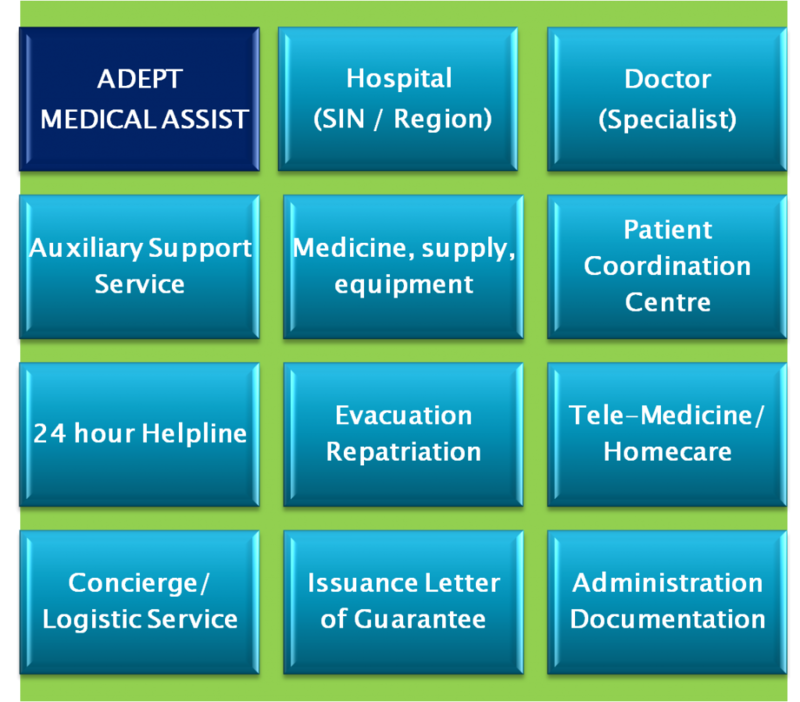 At Adept, we facilitate convenience for patients to seek medical treatment in Singapore; assist and advise patients on navigating the health eco-system and provide them adequate access to some of the best practiced Doctors at the World-Class medical centres and hospitals. We seek to empower the individuals and doctors in using their patient health information and scheduling in an efficient and effective manner, so as to deliver an entirely pleasant and excellent health experience in Singapore.